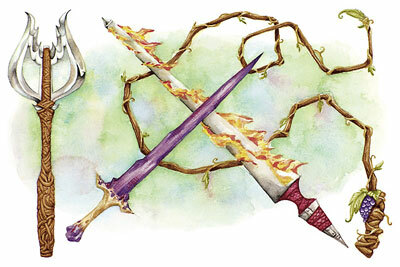 A brief interlude to talk about the subject of today’s Legend & Lore column: magic items. The evolution of magic items in D&D has been interesting. From Original D&D to Basic to AD&D to 2E, magic items were the domain of the Dungeon Master. The DM selected (or even rolled randomly) based on the types of creatures or level of dungeon involved. As a result, there was often a sense of mystery. If you didn’t own the DMG and similar DM books, you didn’t know all of the items available. And if the DM was at times rolling randomly, there was a chance you would get a really neat and sometimes powerful item. ‘Powerful’, however, didn’t have the same meaning across all editions. In early editions powerful was often about what an item could do in particular situations. The way earlier editions were put together, there were enough out-of-balance rules (especially spells) and so little in the way of synergies, that even an artifact usually did not break the game. 3E and 4E: Rather Die than Lose my Magic Items! With 3E and especially 4E, the games had a stronger sense of math. 3E (and Skills and Power… a sort of 2.5E) introduced stacking benefits. Suddenly you could exceed the initial reach of the game. This was often intentional, but the players could become very clever and outsmart the DM and the designers themselves. 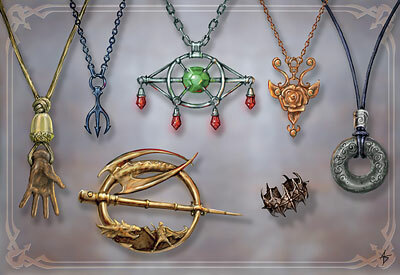 In the realm of magic items there were many items that rewrote the game. An easy example in 3E is Pearls of Power. These items allowed a wizard to recall an already used spell. It suddenly meant you could memorize a spell you would use in every fight just once, then “pearl it back”. This allowed you to take more utility spells. This was very sad news for the sorcerer (their claim to fame was supposed to be being able to cast the spell they wanted when they wanted it), but also for overall game balance. 3E added another really important evolution, which was a more formal system for magic item crafting. This ended up opening up the book for the player, as they now could think about the items they wanted to create and own (and at a severe discount). The expectation began to shift toward finding the right item to enable synergies. For example, a PC using the power-attack feat wanted gloves that would boost strength to increase the bonus. A wizard wanted those pearls of power (and the low level ones were so cheap!) It was a long-standing joke (and deep truth) that in the Living Greyhawk RPGA organized play campaign a player would rather die than lose their magic items. 4E designers very nearly eliminated magic items as we know it, but then at the last minute changed design and created the current system. Initially it wasn’t too bad. Items had levels so as to ensure balance. Design also called for consistency, providing things like properties vs powers with frequencies (at-will, encounter, daily). That design ran straight into reality: it was really hard to figure out how to balance these variables. Specifically, it was really hard to balance an always-on property with a strong daily (because an always-on property can be really strong if a synergy is being created). The more magic items there were, the more potential for very strong synergies. Additionally, 4E had envisioned a number of limits on how PCs worked – both at the world level and PC build level. For example, flight was supposed to be very rare. Or, at the build level, a charging barbarian might be seen as a risky build due to how charging provokes and with limits on how often and for how much damage a barbarian might hit. Magic items changed all of this in unintended ways. That Adventurer’s Vault contained about 10 times too many magic items (and probably written far too quickly by freelancers) did not help. Worse still, magic item acquisition was built into the system and in the player’s books. Players knew about the items and the game encouraged them to create wish lists. The result was PCs that far exceeded the expectations of the game. At a more fundamental level, 3E and 4E broke that magic of the unexpected and in fact devalued it. When the players know all the possibilities and create their wish list, getting something that isn’t on the wish list is a let down. “Bad DM, how dare you deny me the specific Rod my Warlock needs!” On top of that it added the feeling that magic items were part of a PC build. They defined your PC (the very thing designers had wanted to avoid early in the 4E design process). On the whole, I like where the thought process is going. The idea of fun mysterious magic items that aren’t part of the PC’s build is great! But, there are issues. When it comes to not assuming magic items are needed I don’t then think of the solution being chain mail being cheaper than plate mail. This very example is fraught with peril, even if historically accurate. At level 1 it might work great, since the game easily sets what I can afford. It breaks down if the PCs fight a room full of guards in plate mail, because now they have treasure worth a king’s ransom (and a really high AC). This is easily seen in D&D Next already, especially when playing a converted adventure. I like not needing to have a +1 magic weapon, but the best way to do this is already well established: inherent bonuses. 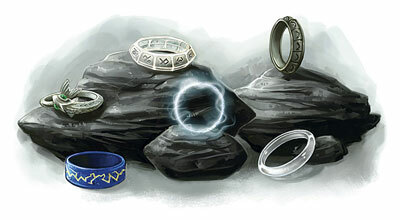 Widely used in 4E Dark Sun (but available earlier with the DMG2), this system provides a flat bonus to attacks and damage and defenses which does not stack with that of magic items. The result is you can live without magic items, but finding them still gives you an interesting property or power. It works really well. If D&D Next still has +x magic items, PCs will want them. Wizards is notorious for underestimating the value of accuracy, and especially the value perceived by players. Players love to hit. The accuracy of a +1 is hard to really render meaningless so long as we roll a d20 to hit. D&D Next also makes damage more valuable, because the damage delt does not scale as it did in 4E. A +1 plain item is arguably far more valuable in D&D Next than in 4E. Would not an inherent bonus system be far more valuable? 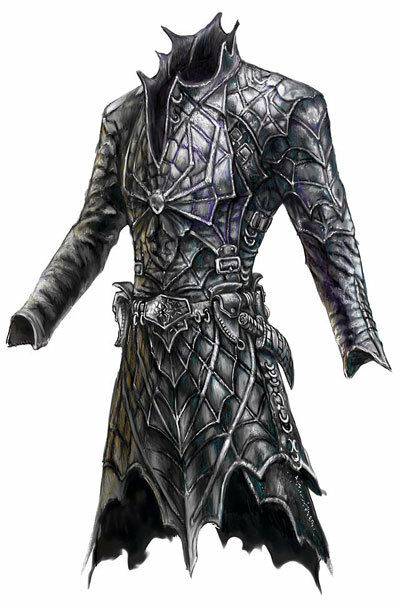 And would not a more stable armor system be better for the game’s economy? I would rather inherent bonuses be part of the core than an optional system because they seem a fundamentally better choice for what D&D Next is striving to achieve. And there is always the challenge of balance. The idea they cited sounds pretty cool (a mace with various powers). The examples they mentioned could all work, but they could also be taken too far (can there be two sources of boosts to fire spells?) or become a problem if they are expected. If the wizard gets a boost to damage, does the rogue fall behind… or does the player of the rogue feel they feel that way? There seems to be enough time to address these issues. Hopefully we will get a chance to see magic items in action at various levels of play and get a feel for how the above issues impact the game so we can provide proper feedback. This entry was posted on October 16, 2015 by Alphastream and tagged 3E, 4E, 5E, Magic Items, RPG History.